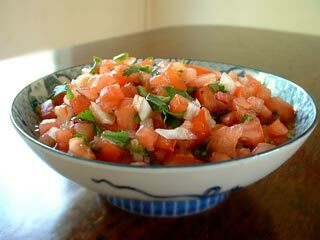 A standard and almost necessary accompaniment to most Mexican food is salsa. Puree ingredients in food processor for smooth salsa or chop ingredients by hand for chunkier salsa. Add spices and chill in the refrigerator for 10 minutes or more to allow flavors to blend. Modifications: Add chopped jalapeno or chipotle peppers.